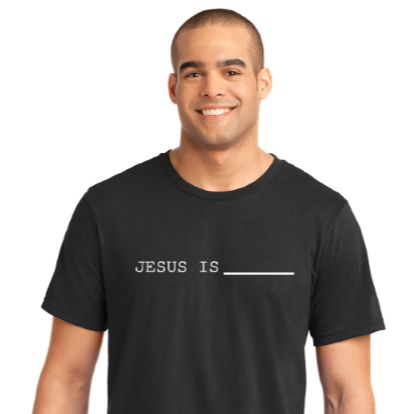 This Lenten season, we are making our way through our "Jesus Is ______" series. During this time, you can purchase a t-shirt as a tool to take the message out the church doors and proudly wear it on your chest. We are hoping these shirts will be a tool to start conversations with people in our communities, at work, and at home! These shirts are a great tool for carrying out the Great Commission and building relationships with those who have never heard the story of our Savior.